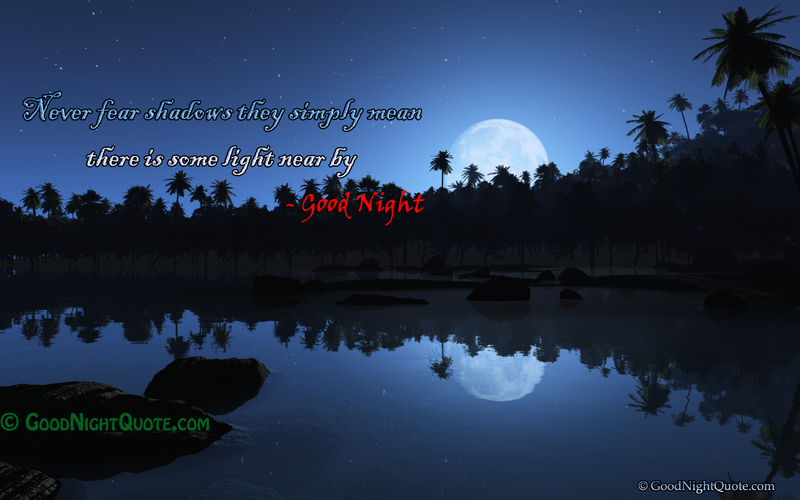 Home » Inspiration » Good Night – Never fear shadows they simply mean there is some light near by. We are never given challenges that are beyond our ability to cope with. Every challenge is perfectly matched to our purpose, wisdom, strength, and resourcefulness. So the only thing to be vary of are the virus thoughts that create worry and fear by telling us that this is not true. We have the choice. We can choose to live in fear or we can choose to live in love. Encouragement is about believing the best — of ourselves, of others, of life. Fear is a choice to believe the worst. Never fear shadows they simply mean there is some light near by. Thinking will not overcome fear, but action will. – Good Night. Fear Quotes to inspire the people. 5 things to quit right now. 1. Trying to please everyone. 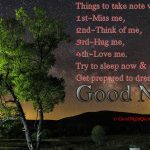 Good Night Dear - Romantic things to take note when you Sleep! 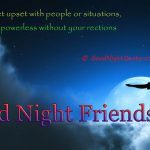 Good Night Inspirational Quotes - Do not get upset with people or situation!